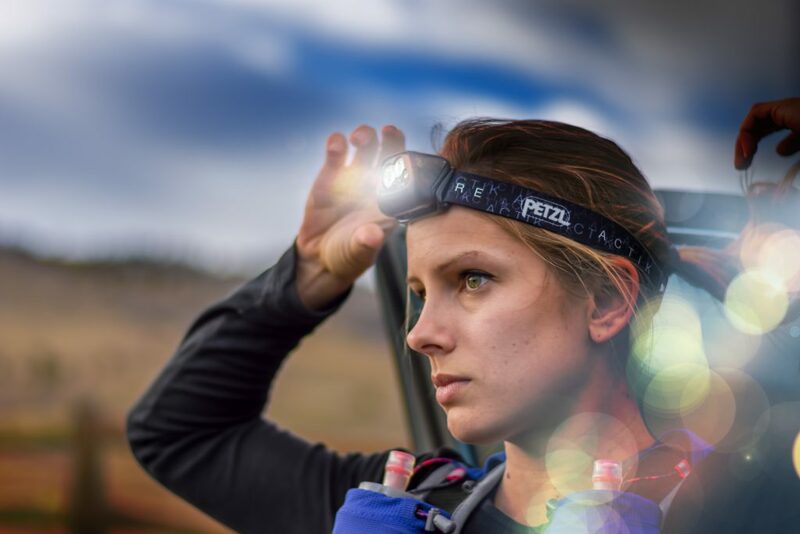 Is it possible for a headlamp to work too well? Ok, picture this. 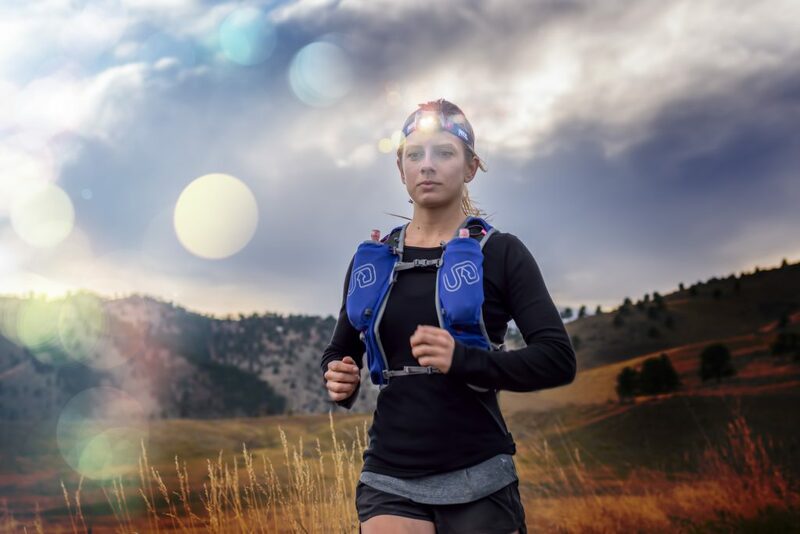 You are doing your first solo night run and psyched to test your new headlamp. You’re running along, enjoying the cool night air, and you notice shimmering specs on the ground. You think ‘wow, that’s a really pretty rock, I wonder what type it is.’ You get closer, only to realize it’s not a pretty rock but a terrifying spider, albeit with beautiful eyes. You start running faster, and your powerful headlamp lights up these eyes every few feet. 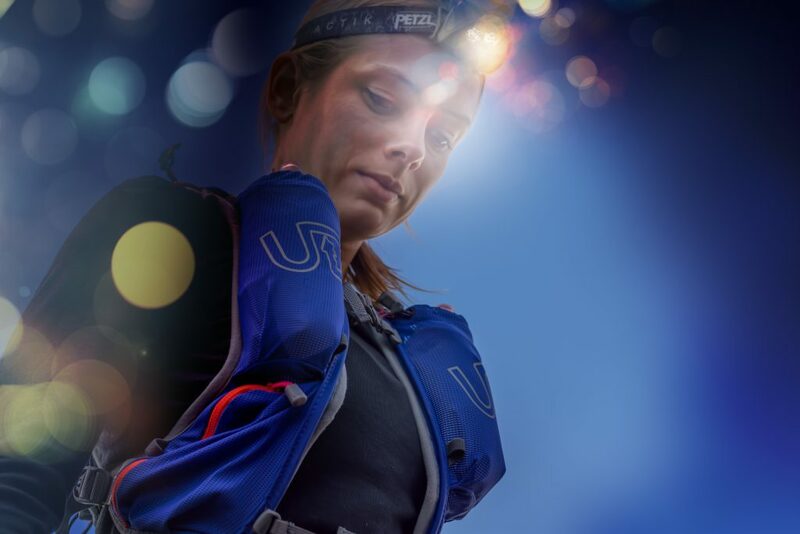 At least I know I’m not alone out here…..
My first experience with the Petzl Actik Core was better than I expected. It has three different settings, allowing you to choose the brightness you need for the given situation. I ran with the brightest setting available, and it lit up not only what was in front of me, but spilled out to the corners of my peripheral as well. At 350 lumens at the brightest setting, it’s perfect for outdoor activities like mountaineering, running, hiking and backpacking. Since I’m an avid trail runner, I first tested it on the Green Mountain Trail in Boulder, CO. I had no problem seeing the hills, stream crossings, or rocky parts even once the sun was down and it was quite dark outside. I love trail running, but in the winter is get’s dark quite early in the evenings. 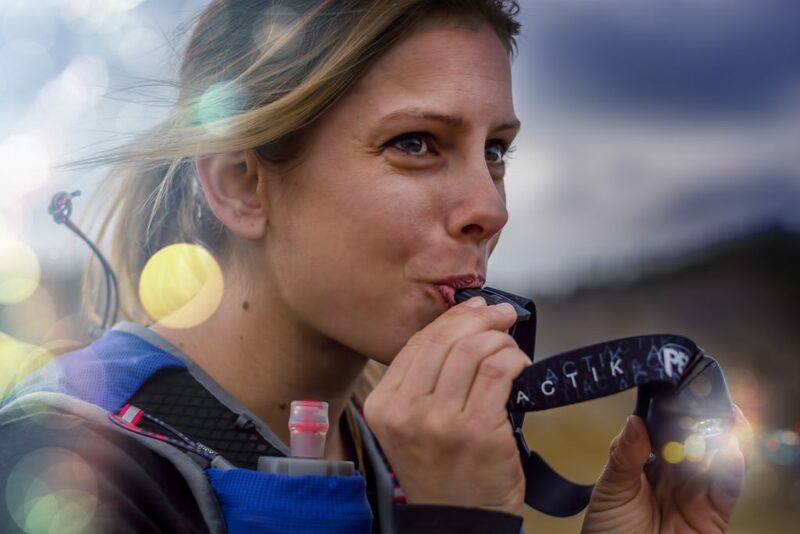 With the Actik Core, I have strong confidence running at night will be no problem at all. The first thing I noticed after receiving this headlamp was the rechargeable battery via a USB port, which is so awesome! I didn’t have to run to the store to purchase batteries to play with my new toy, or keep backup batteries ‘just in case’. I simply plugged it into my iPhone charger right next to my desk, and huzzah! I had a functional headlamp in no time. The battery lasts for two hours on the highest setting, and 7 hours on the middle/standard setting, plenty of time for an after work trail run! This headlamp is super light, and I was able to adjust it pretty snug so it didn’t move around when I ran. Don’t let its lightweight fool you, it’s super durable. I’ve had no problem throwing it around in my pack for various adventures. The ability to tilt it in several positions is extremely handy, whether I’m needing the beam several feet in front of me on a run or straight down while reading. The power switch is simple and functional, though sometimes my fingernail had a difficult time finding the sweet spot on the button (maybe I should cut them?). The headlamp comes in two different colors, and while not intended as a fashion statement, I’d love to see a few more options. The black is simple and stylish, but brighter colors would be great not only for finding it in a pack full of haphazardly placed gear, but also for pictures! The headband is reflective, which is handy for other members in your group to easily find you from a distance. And bonus – the strap has a built-in whistle for emergency situations, and it’s pretty darn loud if you ask me! 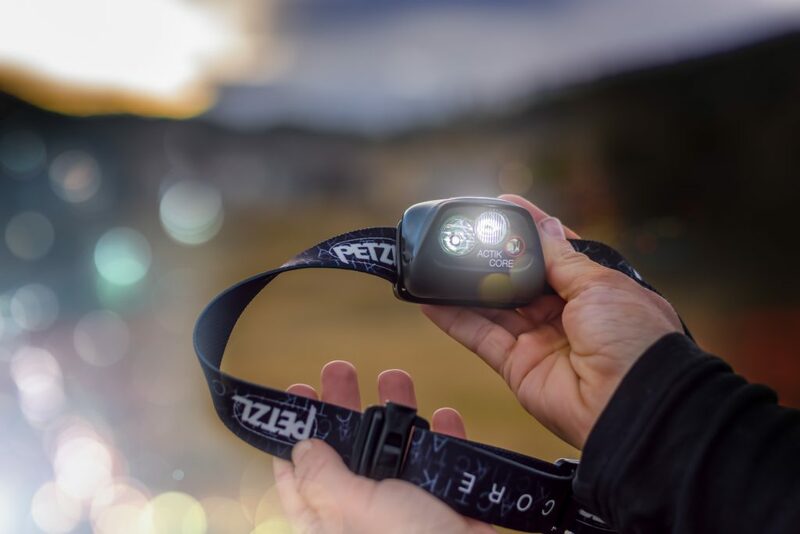 Shop the Petzl Actik Core on Outdoor Prolink. Not a member? Apply today!